Please select options for Modern Billet GT350 Style Shift Knob - Direct Fit - Red (15-19 GT, EcoBoost, V6) at the top of this page. 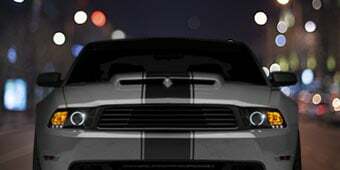 Hey, guys, Adam here with americanmuscle.com. Today I am bringing you a quick overview and installation of the Modern Billet GT350R Shift Knob in both red and black, with a direct fit for all 2015 and newer Mustangs with a manual transmission. So in this video, I will be going over the styling and appearance you can expect from the GT350 Style Shift Knob, as well as the materials and construction. I'll top the video off with the installation, which I will let you know upfront is as simple as, well, putting on a shift knob. This thing should only take you about a couple of minutes inside the car and, of course, the one out of three wrenches on our difficulty meter. The Modern Billet GT350 Style Shift Knob in both red and black finishes will be a direct fit for any 2015 and newer S550 owners who are looking to pick up the extremely limited edition and aggressive styling of the Shelby GT350s for their own S550. Like I said, you both have the red and the black options as far as the shift patterns are concerned, but other than that, it's almost an identical replica to the original GT350. 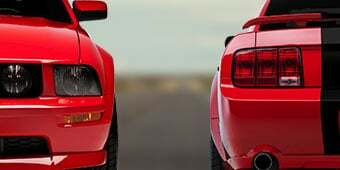 Now, I think it's safe to say that, obviously, the Shelby GT350 and the GT350R are some of the most aggressive Mustangs ever built to this date and would all do some pretty questionable things with [SP] your hands on one of them, am I right? Now, with that said, you can pick up a very, very small detail from those particular limited edition models for your own S550. The shift knobs are a perfect direct fit match for all GT, V6, and EcoBoost Mustangs out there from '15 and the newer generation. Now, with that said, up until now, those shift knobs directly out of the GT350 and 350R would not directly transfer over to the S550s because of a different thread pitch. 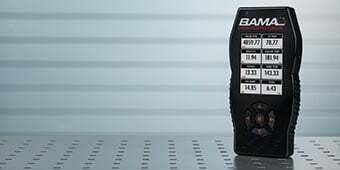 Now, this particular option was built specifically for the GT, V6, and EcoBoost models and will not fit the GT350R, so you want to keep that in mind going forward. So, as you can see, these will fit extremely comfortably in your hand with the exact shape and styling from those Shelby models I just mentioned and, of course, is wrapped in a very comfortable leather finish with black chrome accents on top and a red leather trim. Now, the only difference between the two I have in my hand is the red shift pattern on this one and the black on the opposite side. 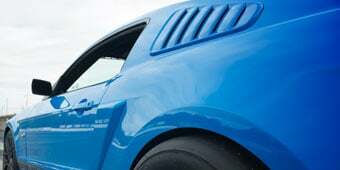 Obviously, this is an exact replica from the Shelby GT350 and 350R to fit your GT, V6, and EcoBoost Mustang. Obviously, I can say firsthand this fits extremely comfortable in my hand and it's something I would put on my own S550 if I had one, but unfortunately, they don't fit in the SN95s. Fortunately, I did have the privilege of sitting in the driver's seat of a Shelby GT350R, which you may recognize having here at American Muscle in one of our previous Hot Lap videos a few months ago. Now, I can say firsthand that this does feel exactly like that same shift knob in the Shelby models, so this is something you can expect to be a direct fit replica. Now, of course, it does have that 12-millimeter by 1.25 thread pitch, which is not something that Shelbys have. 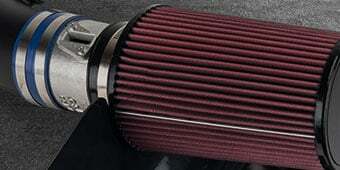 So, this is a specific fit for the 5.0s, the V6, and the EcoBoost engines. Now, of course, when it comes to our limited styling items such as this one from the Shelby models, you can expect a pretty pricey tag up there when it comes to the cost. Now, this one is coming in right around the $70 mark, which is going to be a little bit more than some of the other shift knobs out there, but, of course, this is not like some of the other shift knobs out there. Since this is going to be a very limited styling, which is something that has a very rare appearance, you are gonna have to pay a pretty penny for it. Now, if that's not something you are looking to do, there are other options out there as far as shift knobs, but if you're specifically looking for that Shelby replica, this is something you're gonna want to get your hands on. Shifting gears over to the install portion of the video, yes, pun intended, this is something that you can install within a matter of minutes inside the car in your own driveway. It's not something you need professional installation for because it is, after all, just a shift knob. All you'll need to do is remove the factory shift knob, screw this one in its place, and, of course, it does retain your factory reverse lockouts so you don't have to worry about that whatsoever. Now, whether you go with the red or black, the install is exactly the same because it's only the shift pattern that is different and, after all, a couple of minutes in the driveway at home, one out of three wrenches on our difficulty meter. Just to wrap things up here, if you're the owner of a 2015 or newer Mustang and you are looking to pick up the very limited edition styling of the Shelby GT350 or GT350R for your interior, you might want to check out the Modern Billet GT350 Shift Knob and either the red or the black finishes with a direct fit to your S550, both of which are available right here at americanmuscle.com. Upgrade in Style. There's no doubt about it. The GT350 Mustang is a thing of beauty in so many different ways. While many of us wish we could afford such a killer ride, we opt for something a bit more in our price range. That doesn't mean you can't enjoy some of its great features in your very own GT, EcoBoost or V6 S550. Modern Billet has crafted this Black GT350 Style Direct Fit Shift Knob with Red Accents to aid in the dream. 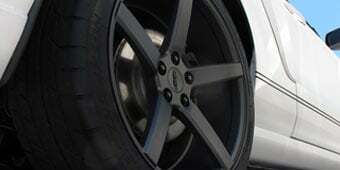 Row through the gears in your S550 Mustang in style with this simple upgrade. Quality Construction. 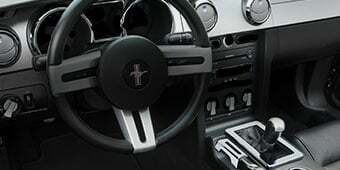 Manufactured for superior durability and longevity, this GT350 Style Shift Knob is crafted from black vinyl and features a brushed silver face. Red accents add a pop of color to your interior, both around the top ring and within the 6-speed shift pattern. Not only will this shift knob provide eye-catching appeal, it also fits well in the palm of your hand when shifting through the gears. Reverse Lock-Out Compatible. Modern Billet specifically engineered this Red GT350 Style Shift Knob to work with your S550's pull-up style reverse lockout mechanism. This prevents an ugly gap between the bottom of the knob and the top of the factory shift boot. Simple Installation. This GT350 Style Shift Knob features a 12mm x 1.25 thread pitch, so no adapters are required for installation. Simply unscrew your old factory shift knob and screw your new GT350 Style Knob on in its place. Installation couldn't be faster or easier. Application. This direct fit Red Modern Billet GT350 Style Shift Knob is specifically designed to fit all 2015 to 2019 V6, EcoBoost and GT models equipped with the 6-speed manual transmission and the stock handle with a 12mm x 1.25 thread pitch. Not compatible with Shelby GT350 and GT350R models. Will this knob fit the Barton hybrid 3 shifter reverse lockout? Since the thread pattern of this shift knob and the Barton hybrid 3 shifter with reverse lockout is the same at 12mm x 1.25 thread pitch, this knob will fit with that shifter. I have 2016 GT Premium. one of the reviews says that the reverse pull up get stuck in the shift knob. Would this happen to my shifter too? Also, would I need a jam nut or anything of that sort? 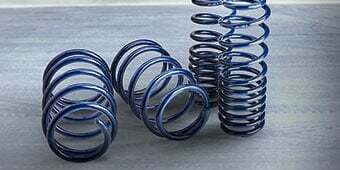 I Ask this becoz I bought a similar one from another store and if tighten the knob all the way down as far as it can go down, I cannot get the reverse pull up high enough to put it in reverse. If dont tight it down all the way down , well the knob circles and never tightens. Would this also be same way? Please bear in mind, I do NOT want to use loctite or anything like that. I simply want the knob to be tight and not moving around in old fashion way where it threads until the end/bottom. Please advise..
We recommend using a lock nut when installing the Modern Billet GT350 Style Shift Knob to allow this to sit correct due to production tolerances in the shifters and shift knobs. We have not heard of any issues with the reverse lockout with our most recent batches of these shift knobs. Will this be compatible to the actual GT350 2016 ? This is not compatible with a GT350. Will this knob fit the Steeda Tri-Ax Street short shifter? Yes, this shift knob is compatible with the Steeda Tri-Ax Shifter due to the shifter retaining the stock shift knob thread pitch. Would this shift knob fit a 2008 GT? The Modern Billet GT350 Style Shift Knob will not affect the reverse lockout what so ever since it simply screws onto the stock shifter. The Barton has the same thread pitch as a stock shifter so the Modern Billet GT350 Style Shift Knob - Direct Fit - Red will fit. If you have any other questions or concerns feel free to call or chat in. The Modern Billet GT350 Style Shift Knob will not fit on an 04 GT as the shifter has a different thread pattern from the knob. You would have to use the retaining nut to correct this problem and adjust accordingly before fully tightening the knob down. 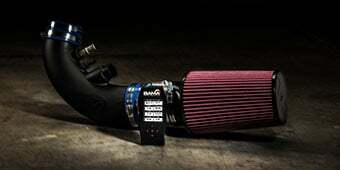 This will be able to fit with a Ford Racing short throw shifter on your 2015 GT. The Modern Billet GT350 Style Shift Knob will share the same thread pattern as the 2013GT, but may require modification to properly install. I would say it weighs roughly the same as the stock one. this piece does not fit the 2018 ecoboost. The compatibility states it does, and it arrived only to find out it doesn't fit. you won't be able to put the car in reverse if you install this. Hard not to love it! It looks and feels just like the genuine GT350 knob. Stitching and leather is nice, feels good to hold and a nice weight. Not too bad install was easy just had to make sure the bolt was aligned besides that it was easy. It's a nice replica of the GT350 shift knob from Ford. Make sure to use all the included hardware when installing. No problems installing. I love the fitment to my hand. As noted by others, materials are a bit cheap and all the red is now faded PINK. To me this item enhanced the drive-ability of my car but materials are not great and I hate that it is now PINK. Piece of vinyl junk, that despite guarantees in the item description, will not install and function. The thread count is correct but you will not be able to engage the safety mechanism on your shifter to access reverse. Did I mention NOT LEATHER and cheapo vinyl that will sit about three inches taller than your stock ball style shifter. On top of this, if you take it out of the box, AmericanMuscle WILL NOT ALLOW YOU TO RETURN IT. So, if you want to waste $60 and have nothing to show for it, buy this piece of garbage. I refuse to call it a shifter because that’s the one thing it is incapable of doing. Looks really nice and feels great. A lot better than stock. Adds a little touch to the inside of my car. Goes good w the red stitching in the seats. This was a nice shift knob but it wasn't a direct fir to my s550 gt. It came with a nut and that also didn't help, you're basically left without the reverse and after looking into it the only way this was going to work was if I used JB Weld or an adhesive to leave it in the right place in order to keep my reverse. They acknowledge this and issued me a refunt. If you don't mind using the JB Weld then this might work for you. It is bigger and a lot more comfortable than the stock shift knob, and looks really good at the same time. It feels more sturdy. Doesn’t do the original justice. Feels and looks cheap. It’s wrapped in vinyl, not leather wrapped like the original, and the top silver part looks cheap any plasticy. Do yourself a favor and just buy the original and drill and tap it for m12x1.25 to fit. This is a quality piece and almost a must if you replace your stock GT steering wheel with a GT350 Steering wheel. It was easy to install and to adjust for make it look correct. It looks great and when shifting it feels great as well. Something different than having a ball type shifter knob. Knob caused a constant rattle. Put original knob back on and silence. the shift knob looks really good but the quality is a bit sub par. the shift knob is locked in place with loctite but the plate with the shift pattern moves and the actual leather around the knob has a wiggle too it. overall not horrible but not worth the price, going to get a classic ball knob next time. First of all direct fit to me means direct fit Shouldn’t be screwing around with jam nuts and lock tight to get reverse to work. Second of all from all the reviews with people using lock tight that is not the answer. I went down to Napa and bought a second jam nut that was thicker figuring I would just lock the two together at the proper height and be done with it. Ended up using the napa lock but and a thick washer to achieve my goal. So much for direct fit. Well made and looks good. I read the reviews saying the lock nut was a pain. I went to Ace Hardware and picked up a 2nd one. Put both on and worked perfect. Took 5 mins to install. I highly recommend getting a 2nd nuts. I like the shape and height of this shift knob better, it fits better. It took a bit of work to get the set nut at the right height and even still I needed some Loctite Blue to hold everything in place. Mine also has a bit of a rough sharp edge around the outside of the red ring that isn't so clean and tidy.